As you probably know, George Lucas was strongly influenced by Akira Kurosawa’s The Hidden Fortress when he began working on his incredibly popular Star Wars saga. Although Lucas has by now sold the franchise rights to Disney and new people are working on new films, it seems like Lucas’s influences also transferred to Disney as part of that $4 billion deal. Hong Kong action star Donnie Yen will be playing the role of Imwe, who is described as “a blind warrior monk who is not a Jedi but follows the path of the Force”, while Chinese actor, screenwriter and director Jiang Wen will appear as Malbus, who is “Chirrut’s Force-doubting rough-and-tumble protector”. 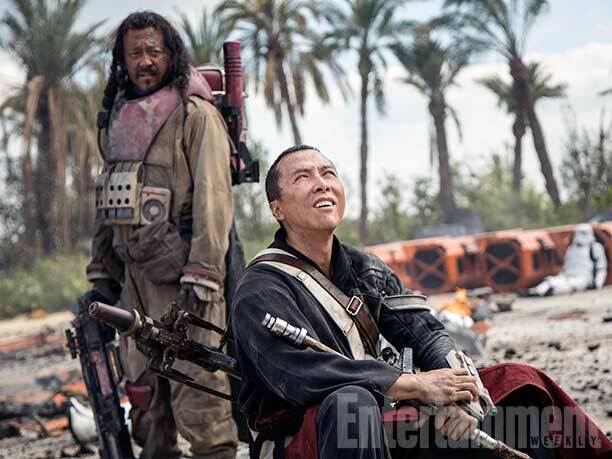 Entertainment Weekly’s photo article has more about both characters, including Chirrut Imwe’s apparently interesting weapon and Baze Malbus’s firepower. Did you watch last December’s new Star Wars film and will the Kurosawa link get you to the theatres this December? And if you know your Star Wars inside out, can you explain to us regular people how this film ties in with the rest of the Star Wars universe? This is the story of the Rebel spy who got the plans for the Death Star that led to the story of Star Wars: A New Hope (the original Star Wars movie). Thanks! I wasn’t expecting to get this quick, concise and to-the-point answer to my question. This places it perfectly into a wider context for those of us who just vaguely remember the earlier films. Is Kathleen Kennedy the director? According to imdb its Gareth Edwards. I had a bit of a mixed reaction to the recent Star Wars film – it was kinda fun to watch at the time, but I found it such a blatant (and fairly humourless) remake of the original it was ultimately disappointing. I thought an opportunity to do something new and interesting was missed. And I can’t say the new characters were very inspiring. Lucas always seems to have had a weakness with casting, there have been some read duds in his films and it seemed to carry through to the new film. Ugetsu: Is Kathleen Kennedy the director? According to imdb its Gareth Edwards. Kennedy is indeed the producer, not the director. Maybe I shouldn’t be writing these articles while watching a football match! My reaction to last year’s Star Wars film was similar to yours. I suppose keeping so close to the originals was a very calculated and safe move. It will be interesting to see whether they have the courage to deviate further from the formula in the future, now that they have shown that they can handle a Star Wars film with respect to the originals. Abrams explained the rationale for the similarities between A New Hope and The Force Awakens. It was a deliberate attempt at reconnecting with the vibe of the original films that most felt Lucas had moved away from with his prequels. Let’s hope they have something new to add, while still having interesting and likeable personalities. Kamatari Fujiwara and especially Minoru Chiaki are a tough double act to follow, because no matter what Matashichi and Tahei did, I just couldn’t hate them. saw rogue one a couple nights ago; enjoyed it well enough. at the same time it tried to depart from the usual star wars tone, it also didn’t travel far enough, especially with its many (and unnecessary to the story) callbacks to characters from other SW films. unlike the force awakens, which inspired me and my children to get back into the theater a few weeks later for a rewatch, rogue one didn’t leave me craving for more. rather, i’ll wait for one of my fellow faneditors to create a slimmed-down version next year. (and i’ll buy the blu-ray just so i can watch the fanedit.) there’s probably a really tight 100-minute version hidden somewhere in the theatrical release, and faneditors are already talking about what can be removed/changed to streamline the story. I haven’t seen A New Hope, and to be honest, from what I’ve read, I’ve no great desire to go to the cinema to see it. To an extent I think that if its true that they are going back to Hidden Fortress for inspiration its a sign of the weakness of the Star Wars universe. I suspect that the overall shallowness of the original conception means there isn’t really anywhere to go narratively, so future films are likely to be endless rethreads of the same basic formula. ugetsu, i share your concern. though The Force Awakens was a lot of fun, i’m beginning to feel the restrictions of the rebels-versus-empire storyline. there’s the real possibility that any tangential stories told within that framework will come with increasingly familiar baggage. one intriguing possibility is exploring stories in that universe tens of thousands (or millions) of years before the current star wars timeline. i’d like to see a movie in which sentient beings first discover and explore the force. how would they shape their mysticism, religion, and society around it? how would they use the force, and to what ends? no vader. no empire. no death star. something new. I saw Rogue One yesterday and I agree with you ssj that the story could have been tighter and the callbacks to other films felt unnecessary. While it was passable entertainment, I felt that the film was quite uneven, uncertain about its identity. On the one hand, it tried to do something new, but at the same time, it was afraid of moving away too far. The music best illustrated this as it felt like mangled versions of the old Star Wars themes, rather than something new. You could recognise the tunes, but it felt like they weren’t being played quite right: a stray note here, a tempo too fast there. Sort of an uncanny valley, there. At some points it seemed like the film would like to comment on contemporary geopolitical issues. It cannot have escaped the filmmakers that Jedha, where the rebel insurgency takes place early on in the film, has a distinctly Middle Eastern feel to it, and that Empire’s stormtroopers roll in with what looks quite a bit like US M1 Abrams tanks. For a moment there, the film enters the world of your Hurt Lockers and Generation Kills. But then the next moment we move onto slapstick comedy and the theme of insurgency is never actually explored. Both sides massacre each other and the film doesn’t care either way. 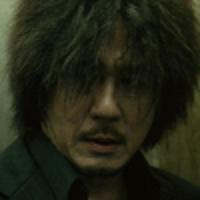 There is unevenness also in the film’s acting. Not in that the performances would be poor — they are actually pretty good across the board — but in that the characters seem to exist in wildly different films. Forest Whitaker is the best example. He gives a rather wonderful performance (as always), but one that exists in a separate galaxy from the rest of the film. Star Wars has always been a hodgepodge of themes, an amalgamation of children’s shows and golden era Hollywood film conventions, something of a filmmaker’s film series. I have never felt that the films would have been very good storytellers, but the old ones at least had a grasp of what makes a good narrative. Rogue One, like most modern blockbusters, has no narrative at all. It consists of a series of sequential story beats that are glued together, but it lacks proper narration. So does the camera. Despite its special effects and explosions, the film is visually extremely bland and uninteresting. The ending, which on paper would have the potential of serving Titanic level emotional responses, produces no emotions whatsoever. While watching Rogue One, I kept thinking about two recent interviews. In one of them, Martin Scorsese declares that the cinema he grew up is dead and gone. In the other, Ridley Scott described modern film pretty bad, empty and hollow. It certainly feels like it. It is a pity as I too feel that the Star Wars universe should certainly have interesting stories that could be told in interesting ways. Yet, the films seem content treading familiar, and frankly rather boring paths. The best Star Wars stories that I have encountered have come outside of the film franchise, in the form of games. Star Wars: Knights of the Old Republic and its sequel The Sith Lords, felt more ambitious in their narrative aspirations than anything shown on the big screen. While by no means perfect, they explored the Force and its social impact more intelligently and weren’t afraid of going beyond the notions of good and evil. But the films, of course, don’t have these ambitions. Their purpose seems solely to keep the brand alive and sell merchandise. They are glorified commercials. And in that, they are very good. It’s a pity, really. “Their purpose seems solely to keep the brand alive and sell merchandise. They are glorified commercials.” I see why Disney bought the franchise.